Children need to learn that even though they can’t always see it, money is real and it doesn’t grow on trees, or out in cyberspace for that matter. “In an age where we pay accounts online, and make purchases at the supermarket with a piece of plastic, children don’t get to understand the value of money. Children need to learn that even though they can’t always see it, money is real and it doesn’t grow on trees, or out in cyberspace for that matter,” says Robyn Farrell, Executive Head of 1st for Women Insurance. 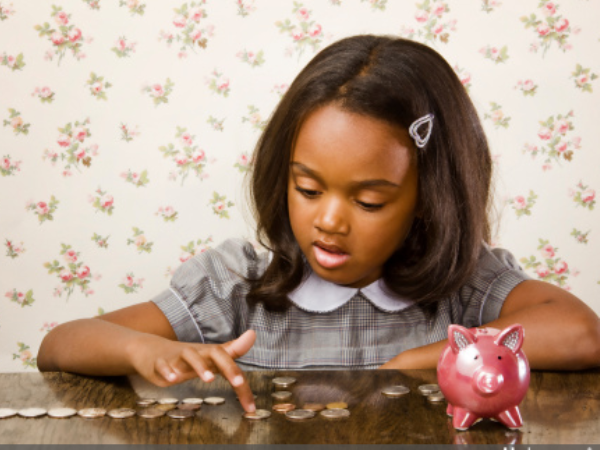 She shares these tips for mothers who want to instill good financial habits in their children. Introduce young children to the concept of saving by buying them a “piggy” bank and allow them to put coins in it. Every week, tip out and count the money so that they can see how the number of coins grows as they save. Include your older children in planning the household budget. Explain the difference between wants and needs and demonstrate how spending should be prioritized accordingly. Teach by example, because children learn a lot about the world through the behaviour of their parents. If parents are prudent about how they spend their money, it is more likely that their children will be too. Teach your older children about planning their spending and sticking to their own monthly budgets. Explain that the amount they spend should not be more than the amount they have – whether it be pocket money or cash earned from doing household chores or a part-time job. Allowing your toddler to hand over the money to the cashier at the supermarket illustrates that money is swapped in exchange for something that is needed and, that in purchasing that item, the amount of money they have left will be less. Encourage your teens to read their ATM statements, pointing out how withdrawals and deposits affect their balance. Watching their balance increase as they save is also a source of encouragement. Teach your child that they have to payback money they have loaned. If they borrow money from you for whatever reason, deduct a specified amount from their monthly allowance each month until the money is paid back. It is even a good idea to charge them some interest! Play games. Monopoly and The Game of Life and apps and online games, for example, can teach money management skills and the importance of planning ahead. Talk about money. Let them hear you discuss your financial plan and the arrangements you’re making for retirement, for example. This could simply be having a conversation with your spouse while your children are in the room. In this way, your children can understand that saving is a lifelong endeavor.